Today we met the sweetest dogs in OKC! We had so much fun with Hank, Dixie, Charley, Elle, and Mona! These service and therapy dogs from H.A.L.O. (Human Animal Link of Oklahoma) help people all over the area when they are in the hospital, or need some love only dogs can give. They are very sweet and it seems like they really like to be petted! We all barked and howled our way through the rest of Dog Day! We learned about May the Iditarod Dog and even made our own dog puppets! We relaxed in the theater with Air Bud and then planted a flower and made a bird feeder out of Cheerios! Tomorrow we are going to bring a can of food to support the Regional Food Bank of Oklahoma and take home a copy of Will Rogers: Our American Legend! Our special guest re will be Cathy and Frank Keating, who are both Members of the Oklahoma Hall of Fame! So Many Superpowers, So Much to Do! Superhero Day was awesome! Bob Burke read A Superpower for Me and we had planted so many pansies! Captain America and Spiderman and many more all came to visit. The best part though was seeing Kevin Stark from the Toy & Action Figure Museum design a superhero with all of the visitors. They gave it unique characteristics and we decided what powers they would have. Then we all got to design our own! Superhero Day was so fun and we can’t wait for tomorrow’s Jazz Day! Spring is in the air and that means baseball season is here! Today we loved having the OKC Dodgers here to read about the Commerce Comet - Mickey Mantle, make a baseball mask and play in the court yard! The sun is so warm and there is so much to do! Checkers, chalking, planting and tossing rings keep us busy and happy! Thanks to the Junior League of OKC for the snack, we needed the energy to keep up the fun! This Safari was a Zoo! Giraffes, Elephants, Hedgehogs, Turtles and Lemurs OH MY! Thank you to all the explorers who visited us today! There was so much to see and do throughout the museum! Thank you to the OKC Zoo & Botanical Garden for bringing us some awesome animals to see and touch! We learned so much about their habitats! The craft was so much fun as you created the most unusual finger puppets we have ever seen! We are so happy it is spring and that you took home a flower and a birdfeeder to celebrate spring at your home! See you tomorrow on....Home Run Day! Sorry Kermit, but at the Oklahoma Hall of Fame, being green is easy! Green Thumb Day started off with the tale of Grandpa Green. Artist Mandy engaged all ages during the craft time to create their own unique flower. Special Thanks to Kam’s Kookery who led the planting activity with Mint and Cilantro. When they grow, we will use them in some yummy recipes! It was so nice to relax in the Chesapeake Oklahoma Theater and watch Up all afternoon! Before we left, we even played in the green grass, jumping rope and tossing rings. We had a great time being green today, it is what I want to be! You Sure Put the Wacky in Wacky Wednesday! 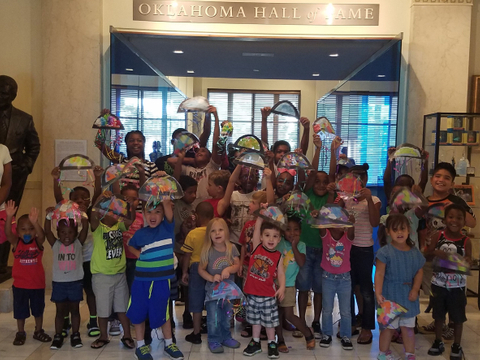 What a Wacky Wednesday we've had at the Oklahoma Hall of Fame! Thank you for wearing your most WACKY outfits, crazy socks and funny shirts! We are so glad you enjoyed special guest Kris Kanaly, OKC's own local artist, muralist, and rapper, who gave a colorful reading of Dr. Suess' "Wacky Wednesday" and lead a Plaza Walls inspired craft. The Holy Kids joined in on the fun and inspired adults and kids alike to create their own mural art on butcher paper that will be hung around the museum! We watched Horton Hears a Who, planted our own flowers to take home, and put together cheerio birdfeeders! Whew, we're tired just talking about it. See you tomorrow, where the fun continues with Green Thumb Day! Spring Thing Returns with Flower Power! A little spring rain couldn't deter the fun on the first day of Spring Thing! The vibe was mellow when we enjoyed the book Spring is Here!, read to us by Bruce Benbrook who visited us from Woodward! Then everyone got groovy when they made a flower power mask with artist Mandy Messina. Pedals of all shapes and colors decorated smiling faces. Next we got in touch with mother earth when we planted some flowers with the help of Cody from OSU-OKC Farmer's Market! We were pretty tired after all this activity so took a seat in the Chesapeake Oklahoma Theater to watch the far-out movie, A Bug's Life. Thank you to the Junior League of OKC for ending the day with a rightous treat! Today was a gas! Deck the Hall of Fame! Despite a wintery and icy forecast the storm missed us to the south and freed-up dozens of families to explore the Oklahoma Hall of Fame's Winter Wonderland at the Deck the Hall of Fame Teen Board event. We had a great day of crafts, movies, stories, food, drink, and a special visit from Santa! Thank you to everyone who attended and supported the Oklahoma Hall of Fame Teen Board! We had a GREAT PUMPKIN Day! Wow! What an amazing day at the Oklahoma Hall of Fame! We had so much fun reading a story about fall, watching Charlie Brown in the theater, playing in the courtyard and painting pumpkins! There were so many smiles! Thank you for coming to Fall Y'All and for celebraiting with us! Oh the places you’ll go, oh the sights you will see! Today at the museum our guests have joined the fun for the Dr. Seuss themed Friendly Friday! It was a treat to have Frank Merrick as our guest storyteller today, reading Oh the Places You’ll Go. After heading upstairs, the kids created lovely Halloween collages and masks of their own during craft time with visiting artist Patrick Riley. Our guests then got to enjoy all the excitement the museum has to offer, including our wonderful exhibits, our hay maze, and a special screening of Horton Hears a Who! Olympic Hero Visits Hall of Fame! 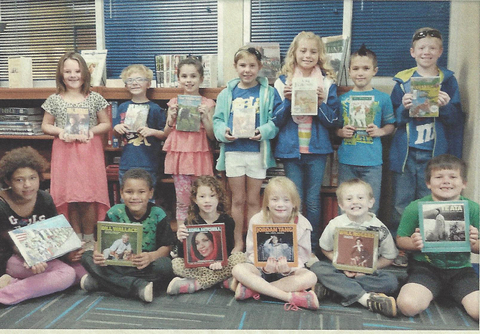 Throwback Thursday sprang to life with Hall of Fame member Bart Conner reading “Rainbow Fish”. The Olympic champion displayed a glittering gold medal for guest to see while taking pictures and signing autographs. It is pretty hard to describe the moment that you see an Olympic GOLD Medal! I'll try. It was AMAZING! It was SO shiny! It is SO heavy! Our partner the YMCA of Greater Oklahoma City showed us some moves with a fun active game involving “Frozen” cards. This game offered chances to do some push-ups, squats and even burpees! Kids enjoyed coloring the craft and then headed to our theater for the movie, “Toy Story”. Sometimes you have to pick sides, but today at the Oklahoma Hall of Fame we celebrated two different schools, united by our love for Oklahoma. What a spirited day at The Oklahoma Hall of Fame! Bedlam Day was host to many special visitors, including Dr. Ann Caine who serves on our board of directors, as well as spirit squad members from The University of Oklahoma and Oklahoma State University. We started the day with a special story time lead by Dr. Caine, reading Austin Plays Fair by Tony and Lauren Dungy and made special football themed crafts with our favorite artist Patrick. Thank you to all the future Sooners and Pokes for making today great! The glamour! The stars! The bright lights! The POPCORN! Fall Y’all has Gone to the Movies today! 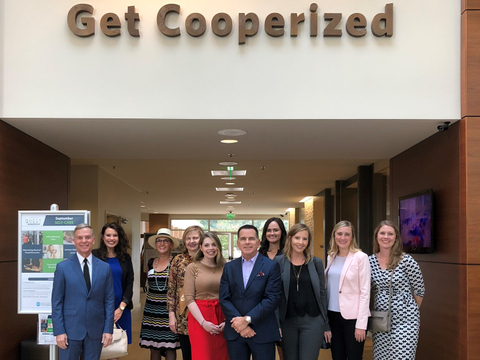 Guests arrived via our red carpet and walk of fame featuring Members of the Oklahoma Hall of Fame, then they were treated to story time and Oklahoma Gourmet Popcorn by our special guest, DJ Boles. Guests got to learn about one of Oklahoma’s most beloved movie stars, Will Rogers with the story Will Rogers: Our American Legend. The kids then delighted in a fun movie-theater themed collage craft with our guest artist, Patrick Riley. 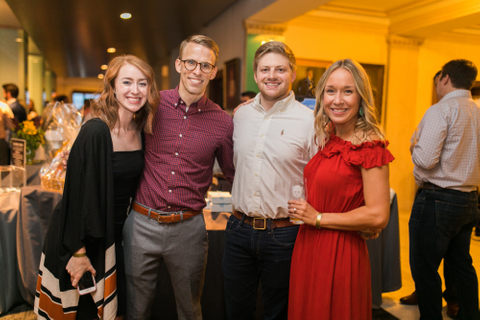 Afterwards, many of our guests enjoyed a special showing of Sing in our Chesapeake Oklahoma Theater. We can't wait to have you visit tomorrow! Funky Beats, Smooth Moves and Jazz Hands! The Oklahoma Hall of Fame was rocking today! With sounds of Jazz echoing the hallways, we enjoyed the funky and smooth sounds provided by OK Sessions! This gig had some real heat and those cats put together a real jam session on the keyboard, guitar, bass guitar and drums! What an awesome day movin' and groovin' at the Oklahoma Hall of Fame! Everyone has a story to tell! Today, we had a great opportunity to hear stories that were exciting and meaningful. With help from Governor Bill Anoatubby from the Chickasaw Nation, we heard about a cool rattlesnake and from special Chickasaw storytellers, we heard about how the rabbit got his tail! It was a great day to explore the hay maze and take home a special prize! Summer Thursday has come to a close as school gets back in session and September is upon us, but we couldn’t be happier with the summer we had! We saw so many of our returning visitors and met some wonderful new people in our community. Each program brought in a great group of visitors that we hope enjoyed it as much as we did! 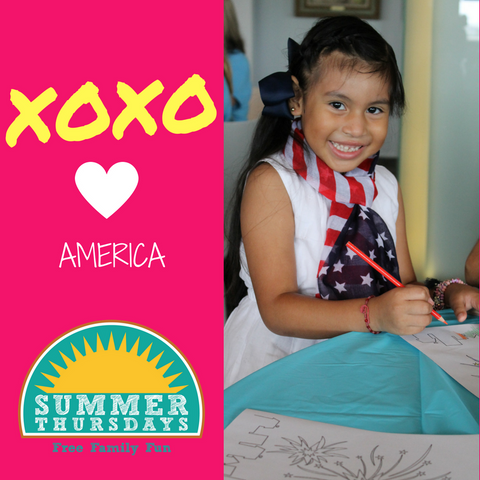 Thank you for making the 2018 Summer Thursdays so exciting and fun! We loved having you at the Oklahoma Hall of Fame! We worked with some awesome community partners that we are very grateful to and hope to work with again. 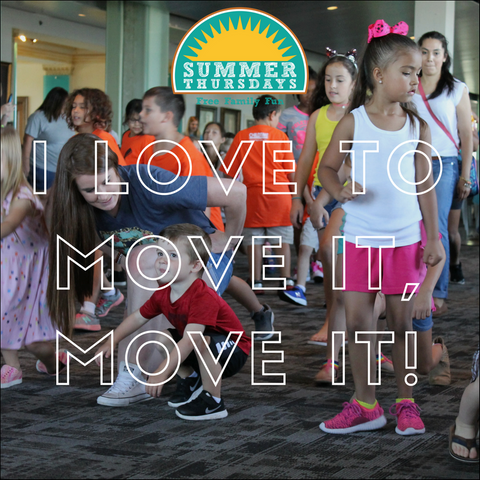 We loved having the Central OK Humane Society, the Thunder Rolling Book Bus and Thunder Girls, OSUOKC Farmers Market, and the OKC Ballet back for Summer Thursdays. We also had the chance to work with new partners such as the Toy and Action Figure Museum, YMCA, and Hearts for Hearing. Working with community partners allowed us to reach so many more visitors and share both missions with the community. Mood: Oklahoma Born & Brewed! There’s nothing quite like rounding out another Oklahoma summer with local brew, good eats, music, and 400 of your greatest friends. Yes, it may sound like an evening at one of your favorite spots. But no! 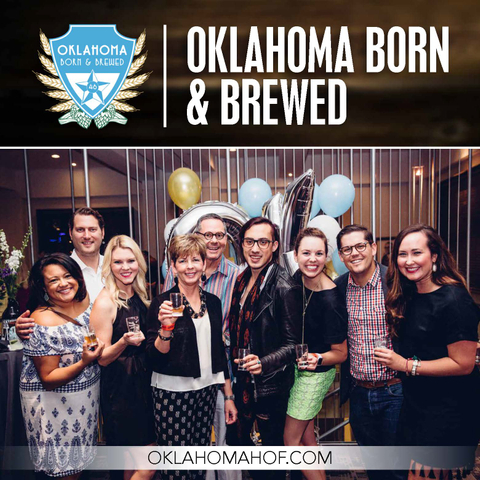 The Second Century Board, in conjunction with the Oklahoma Hall of Fame, just wrapped our 4th annual Born & Brewed event on Friday, August 17th. This evening has, for the past two years, been a highlight of my summer. And, if you attended, I hope you felt the same. For me, I find that returning to work on Mondays and working alongside a younger crowd, I always feel a little more “hip” in my content in contribute to the routine “water cooler” chat! Why? Allow me to share. Oh the places we'll go! Where to begin with Stories Across Our State? How about Tishomingo, with a jaunt through Coalgate, Atoka, Heavener, Stigler, Wilburton, Antlers, and Hugo. And don’t forget Hollis out west! What a great program this has been this year! We met wonderful people throughout these towns and experienced so many wonderful stories and activities. 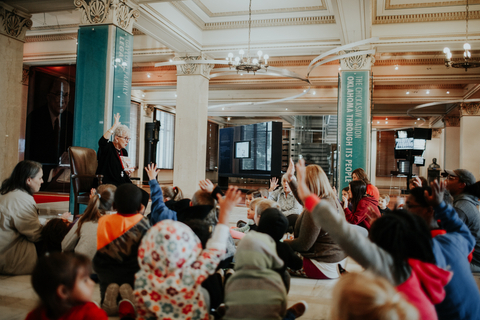 Stories Across Our State is a free program designed to get kids excited about literacy and teach them about our state's history and heritage. Thanks to the Carolyn Watson Rural Oklahoma Community Foundation we were able to meet 230 wonderful people in 9 different towns. Each librarian helped us coordinate and reach as many people as possible with this program. We spent time talking with visitors and exploring the towns we were in. Because of this program, we were also able to give a copy of Jane McKellips’s Dust Storm to each child that attended the program! 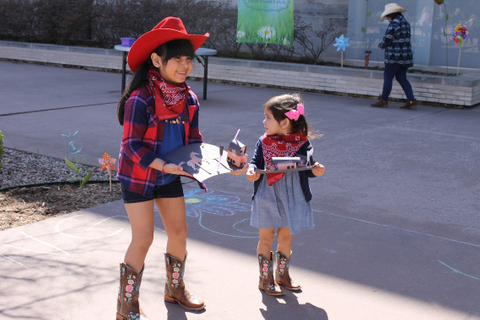 Today we had the Oklahoma City Ballet here and we loved seeing so many of our guests dressed up to join in the fun! We started with the chicken dance, but were doing plies by the end of it! Our visitors loved making their own ballerinas with teaching artist Al Bostic as well. Dance Day was a great experience and we loved having a great partner and so many dressed up guests! One of the highlights of Hoops day is seeing how excited children got when they heard they would get a free book from the Thunder Bus! Combing one of their favorite sports team, an awesome colorful bus, and letting them choose their new favorite book while getting to meet the Thunder Girls is a great experience to witness. Volunteers from Ascent helped us celebrate Hoops Day too by shooting baskets with kids as they waited their turn on the Book Bus. Our visitors loved having more people to play games in the Courtyard with and we are so appreciative of our volunteers and partners. Hoops Day was another awesome day here at the Hall of Fame! Have you ever ridden a dinosaur? I know that is a strange question to ask someone….but have you ever ridden a dinosaur? I have. And it was awesome. Today’s Summer Thursday’s theme was Dinosaur Day and it was legendary! Straight up pre-historic! I got to interview a special T-Rex and we learned that they can’t touch their toes. 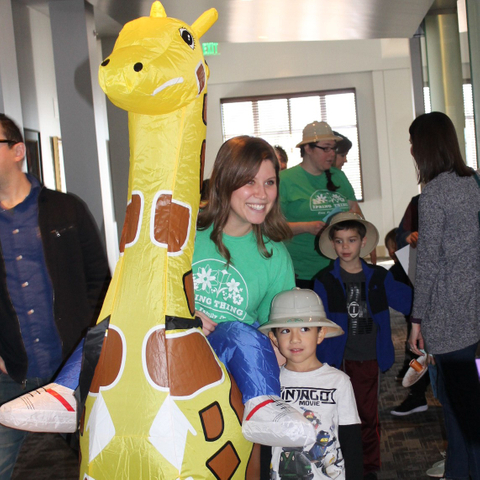 We had over 250 guests exploring the Jungle…I mean Museum! First, we read “Me Want Pet” by Oklahoma author Tammi Sauer. We had a very special guest reader today, Oklahoma Hall of Fame Member class of 2013, Reggie Whitten! Mr. Whitten even brought fossils with him today! Next, we created stegosaurus headbands with teacher artist Al Bostick. The last activity of the day was planting dinosaur food (carrot seeds) into ice cream cones with our friend Cody Yount with the OSU OKC Farmer’s Market! We could not have greeted so many faces today without the help of our volunteers from Ascent! Thank you guys! We had a full day and can’t wait for next week’s Summer Thursday! Come back and see us! Every day is better with a buddy! We had such an awesome day with a story about a shark and his buddy, a craft where we made a transparent squid, and settled into the theater for a classic buddy movie, Fox & the Hound. What a great way to spend time with a buddy! Life is Better on the Mother Road! We had such a great day with Route 66 Day! Oral enjoyed reading so much that he did it again and all of our guests helped him with the story of Route 66. We had OSUOKC Farmer’s Market in to help us plant again and our visitors loved it! Each kid got to take home their own plant and Cody from the Farmer’s Market taught them how to care for it. We also had volunteers from BKD here to help us today and that was great! They were such a great help and our visitors loved getting to meet, craft, and plant with them! Stars & Stripes Day was such a fun experience for all of our guests! We had our development officer Oral Blankson reading and the kids loved helping him act the book out. We all got to make our own shooting stars during craft time too. All at once each of the kids rose their red, white, and blue stars up in the air and made a “WHOOSH” sound as their stars flew! We watched the classic This is America Charlie Brown to celebrate the 4th of July. We had such an enjoyable day with our guests! 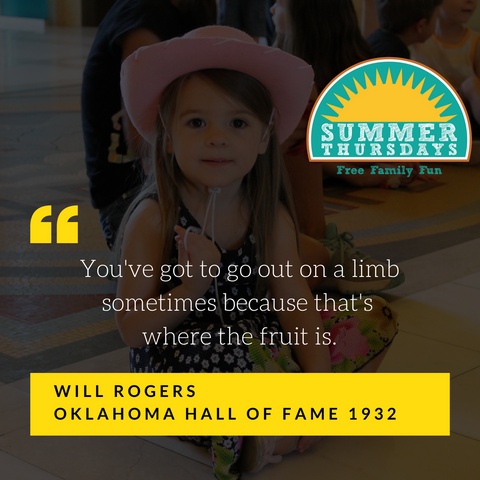 It may be hot outside, but it is always cool at the Oklahoma Hall of Fame! I LOVE to Move It, Move It! Whew! Am I tired! We did so much moving today that I could use a nap! It is funny though, I feel GREAT! There were so many smiling faces here today, it was so fun. Our director of museum experience Marissa Raglin reading our story, Froggy Bottom Blues, and making all of our visitors into an awesome band! Our partners at the YMCA did great leading our guests through exercises! It was great to see so many kids and their parents get active and enjoy the class together with such engaging leaders from the YMCA! I have to admit, I also liked sitting in the Chesapeake Oklahoma Theater watching Madagascar! See you next week! 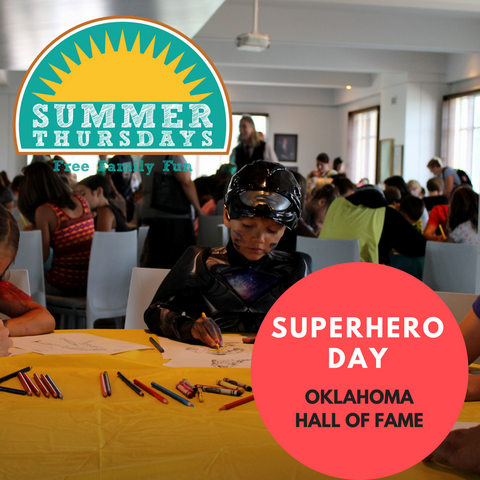 The Oklahoma Hall of Fame is Superhero Headquarters! What a great day celebrating all things Superhero! 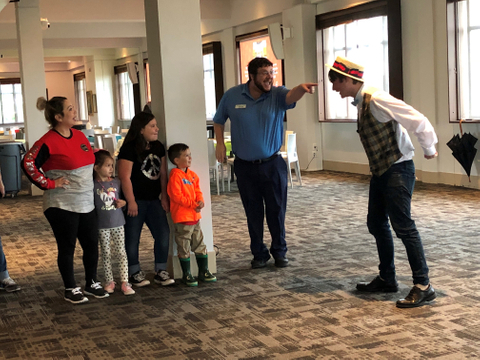 We had Kevin Stark from the Toy and Action Figure Museum and he read to all of our guests and then helped them create their own villain and superhero. All of the guests got creative so our superhero had a toucan nose and fox ears! The Incredibles played in the theater and we made the coolest craft and learned a lot about how to make colors out of other colors. Needless to say, we had a great time today! Remember...YOU are the HERO of your OWN story! The Grass is Always Greener… in Oklahoma! The Second Century Board had the honor of hosting Gary England to present on his life, his career and Oklahoma weather. England has made many contributions to Oklahoma and beyond through his innovations in weather technology, many severe weather broadcasts, and of course his appearance in the movie Twister. After growing up in Seiling, OK, England joined the Navy but after his time serving was happy to return to his home state to attend college at the University of Oklahoma. After graduating, he spent a short stint of his career in New Orleans but again couldn’t wait to get back home, “the grass is always greener in… Oklahoma” said England. Ikbi means “to create” in the Chickasaw and Choctaw languages. 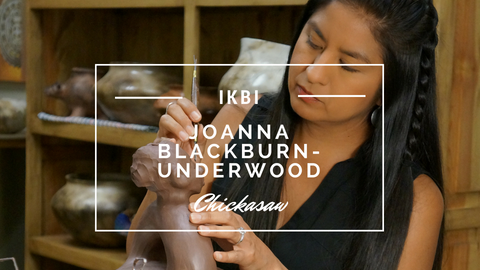 In our new exhibit; IKBI: Chickasaws and Choctaws Sharing Our History and Culture Through Art, it was an honor to work with the Chickasaw and Choctaw Nations to curate an incredible temporary exhibition that showcases the incredible talent and rich heritage of each Nation. 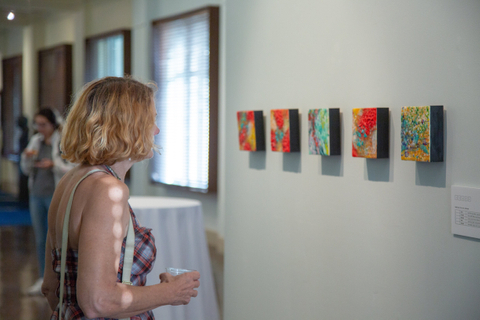 This exhibition would not have come together without the hands of many, including Laura Stewart, executive officer of the Arts and Humanities Division of the Chickasaw Nation and Verree Shaw, marketing director of the Choctaw Nation. Here are two beautiful works created by talented artists included in Ikbi, on display May 31 through September 22, 2018. Sometimes it rains on All Star Day! All Star Day was so much fun! Despite the weather being soggy and wet, we had a great crowd. Teaching artist Brendon Williams led our guests through a craft about all stars. The craft was enjoyed by the kids, but the most interesting part was how Brendon kept everyone (including staff!) engaged with his process. To get the visitors to focus on him, Brendon used the gloomy weather and we made our own thunder! Brendon led everyone in a ‘boom, boom, clap’ that went right along with the weather and then he rapped to the rhythm about the craft that day! The energy in the room built until everyone was joining him! The Oklahoma Hall of Fame was founded in 1927 by Anna B. Korn to celebrate the wonderful history of Oklahoma and to honor Oklahomans for outstanding service to their state. The Oklahoma Memorial Association was the first name of the organization that would organize the induction ceremony and statehood banquet every year. 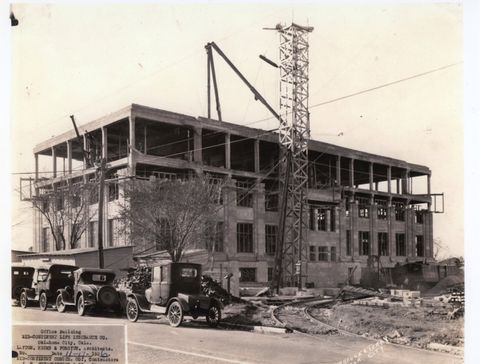 Also happening in 1927, the Mid-Continent Life Insurance Building in Oklahoma City opened to the public and, just a few blocks away, Judge Robert A. Hefner, Sr. was moving his family into the home that would become known as the Hefner Mansion. The histories of these Oklahoma institutions would be connected over the course of the next 90 years. This is the history of the homes of the Oklahoma Hall of Fame. At the Oklahoma Hall of Fame, we believe there are no limits to what is possible. Every day we celebrate the legacy of inspiring Oklahomans with all generations because Oklahomans are changing the world. We strive to ensure that people in all 77 counties know that they can make a difference in our state, our country, and our world. Each of our organization’s programs strive to accomplish that goal. 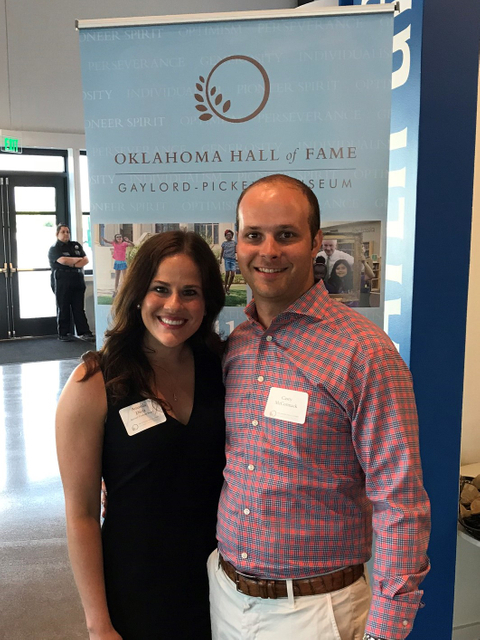 The Oklahoma Hall of Fame addresses the need to build character, pride, and community to facilitate the growth of our youth in a positive environment. By experiencing our state’s rich history and heritage through its people, the Oklahoma Hall of Fame inspires people to reach their full potential. 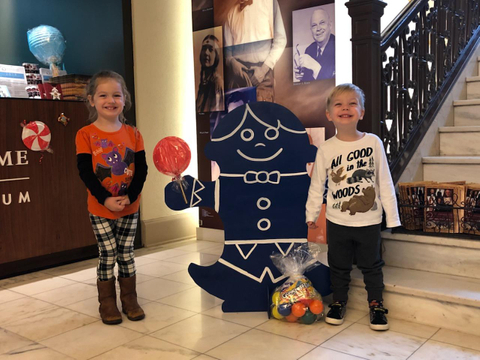 For two weeks this fall, the Oklahoma Hall of Fame and Gaylord-Pickens Museum was transformed into the perfect family fall fun zone. 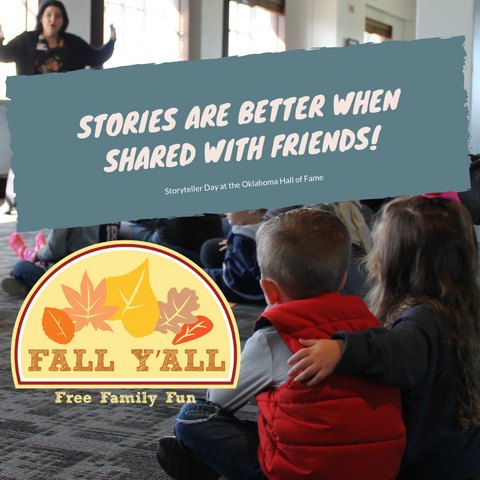 Daily story time, crafts, movies, and exploring the hay maze to find a special prize made for two great weeks of smiles and good times for all...Fall Y'All! Here are some highlights from our great staff who had a blast with our guests! Now Oklahoma students have one more reason to read about the accomplished Oklahomans depicted in our I Am Oklahoma Children's Series - all five of the current titles have been added to the Accelerated Reader list! These books tell the stories of opera singer Leona Mitchell, scientist Jordan Tang and more. Accelerated Reader is software for K-12 schools for monitoring the practice of reading. Students select books on their reading level, read independently, and take an independent comprehension test on the computer. Each book is worth a certain number of points based on its length and reading level. You can get copies of the I Am Oklahoma Children's Series from our Museum Store, bookstores statewide and Amazon.com. Click here to learn more about our publishing arm Oklahoma Heritage Association Publishing. We are the leader in publishing Oklahoma's history! 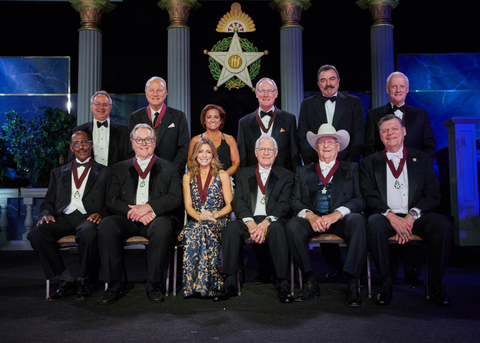 Last week we had the honor of inducting six outstanding individuals to the Oklahoma Hall of Fame, recognizing them with the state's highest honor. 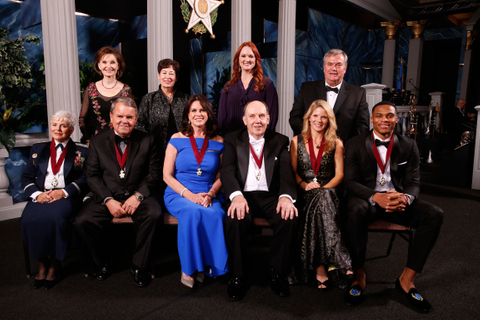 The 2016 honorees were: Rita Bly Aragon, Michael Burrage, Dan Dillingham, Becky Dixon, Kelli O'Hara and Russell Westbrook. The Induction Ceremony included speeches from each of the honorees and biographical video vignettes. 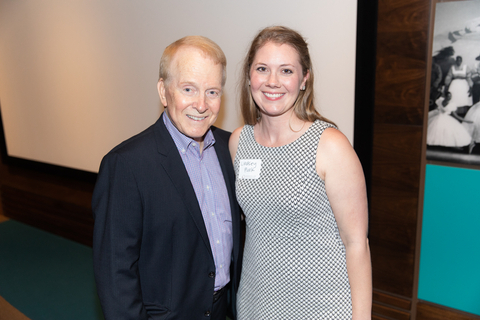 Kelli O'Hara entertained the sold out crowd with two musical numbers, V. Burns Hargis and Mike Turpen emceed the event. 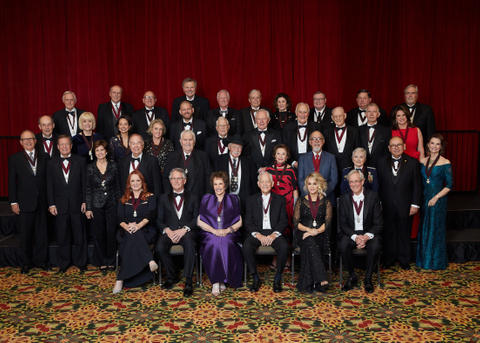 Watch the 89th Annual Oklahoma Hall of Fame Banquet & Induction Ceremony On Demand on Cox, Sunday, November 27 at 6:00 p.m. on KAUT-TV and Saturday, December 17 at 4 p.m. on OETA.